As some of you may know, I will be going for my kidney transplant shortly. There are many factors when it comes to organ transplant. The recipient and the donor should both be quite healthy. 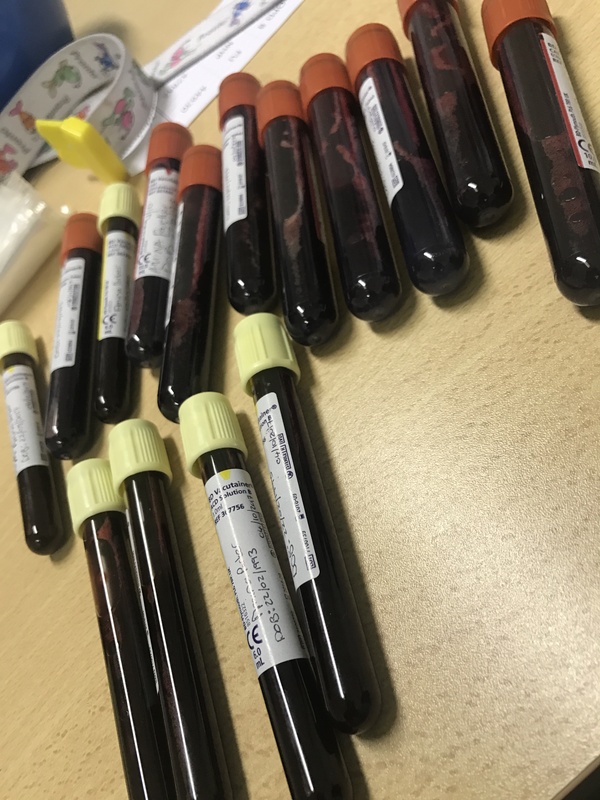 I will write a separate post on the donors workup but for now, we will talk about the different tests I went for, why I did them and my experience. The work up is usually organised by your transplant co-ordinator. My transplant co-cordinator (Juliet) would email me a list of tests to complete and it would be my job to get them done as soon as possible. This was the simplest test they did. They literally take one small vial of blood and they test to see your blood type. My blood type is O+ which means I can only receive a transplant from O+ or O-. I guess if I was a AB+, this process would be a lot easier! My brother and Dad are O+ too, hence them being my chosen donors. My mom, sister and younger brother are all A+, making them incompatible to donate. However, they have just introduced the incompatible kidney transplants in South Africa so that is exciting! I have made friends with a lovely woman, Chantal, on Facebook who had the first incompatible transplant in South Africa this year. You can read her story here. I am going to explain this in non medical terms, to make it easier to understand. In a nutshell, your blood is mixed with your donors blood to see compatibility. Ideally, when the blood is mixed you want the outcome to be negative. If it is positive, it means that your cells attacks and kills the donors cell (this is a positive/bad match). To ensure you’re healthy for transplant, they run blood tests for several things. This includes diabetes, cholesterol, hemoglobin, phosphate, pottasium, iron, calcium, magnesium, sodium, urea, etc. They also need to check that you have no other illnesses or ailments. If you do, they need to then treat that accordingly. Fun fact: I have been for every blood test they could possibly think of, and they still could not find out what caused my kidneys to fail. Yup, that is is 11 vials of blood. Joy. This is usually done at diagnoses and is not really part of the workup. But I thought I would add it in here anyways. As a renal patient, chances are you’re going to have to do one of these. A kidney biopsy is probably the best way to find out the type of kidney disease you have, how severe it is, and the best treatment for it. In nutshell: the doctor inserts a thin needle to extract tissue from your kidney. Can you even imagine how many layers he would have to get through to get to your kidneys? Lucky/unlucky for me, I did a ultrasound of the kidneys and they found that my kidneys were too small and scarred (they were compared to prunes) to actually do a biopsy. There was not enough tissue for them to extract. In South Africa, it is a requirement that you get sign off from your dentist saying you have no outstanding fillings, root canals or infections. Bacteria can easily spread in your mouth, causing your new kidney to reject. There are several scans and X-rays that are done of certain body parts to ensure you’re healthy enough to go through with the transplant. Your hearts and lungs are checked as well as your liver and kidneys. Luckily/unluckily (once again) I did not have to repeat this process when I started my transplant workup. I had been hospitalised twice since October last year and during that time, most of these tests were performed for other reasons. EG: at one point I was struggling to breath because I had water on my lungs. They did a chest x-ray that day and that x-ray can now be used for my transplant work-up. These tests go quite quickly and are pain free. This is one of the tests that are done in the beginning and right at the end of the transplant work up. They take 14 vials of blood from you and another 14 from your donor. They then mix the blood and they wait to see if the results are negative or positive. A negative result is a good result. If it were positive, it means that your blood cells are attacking and killing the donors blood cells. 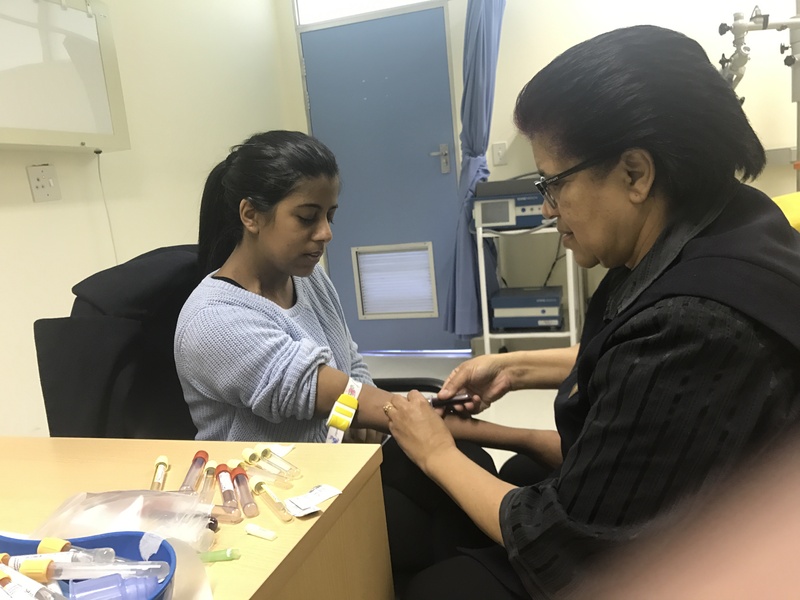 Medical aid in South Africa is a nightmare in general. That being said, I have had incredible luck with mine so far. Fingers crossed that it stays that way. You always have to be on top of your game with the medical aid. My transplant co-ordinator would submit all my authorisations and then it is a waiting game. Luckily I have a medical aid consultant at my office and she assisted and made things happen quite quickly. There were several issues though like them approving the wrong donor and then once they approved the right donor, they did not approve all the tests and we had to submit more paperwork. Its a crazy cycle. Also, if you are interested in knowing the numbers, a kidney transplant + workup costs R620 000 (as of 2017). If you know anything about medical aids in SA, you know that they will never cover you entirely. You need to be realistic about the bills you’re going to face. Gap cover is an interesting product to have though. It covers your expenses that may exceed your medical aid rate. Unfortunately, if you’re like me who took out gap cover after they fell ill, gap cover has a 12 month waiting period for those already diagnosed with chronic illnesses. If you’re interested, I am on the Fedhealth Maxima Standard medical aid and the Sanlam Comprehensive Gap Cover. This particular medical aid pays R400 000 for the organ transplant and the work up. This is quite a high amount and I did quite bit of research on the different medical aids in South Africa and what they exactly pay for before going with this medical aid. I would advise you do the same. Discovery medical aid also has really good cover and was actually my first choice but due to the company that I work for, I had to choose from a certain list of medical aids. Discovery also has a KidneyCare program which I find incredibly helpful as it has a ton of resources and links to helpful websites.